iOS 7 Introduces Multipath TCP – Stay Connected to Cellular & Wi-Fi At Once! Since the official release of iOS 7 on Wednesday, everyone is trying to find some more helpful features which may have been gone out of the limelight due to the immense number of new features introduced in iOS 7. In the latest operating system update, it seems that Apple has included a pretty useful networking surprise. A new networking protocol called Multipath TCP is featured in iOS 7 final release which will allow Apple devices to simultaneously use multiple connections such as cellular network, Bluetooth and Wi-Fi to transmit data. 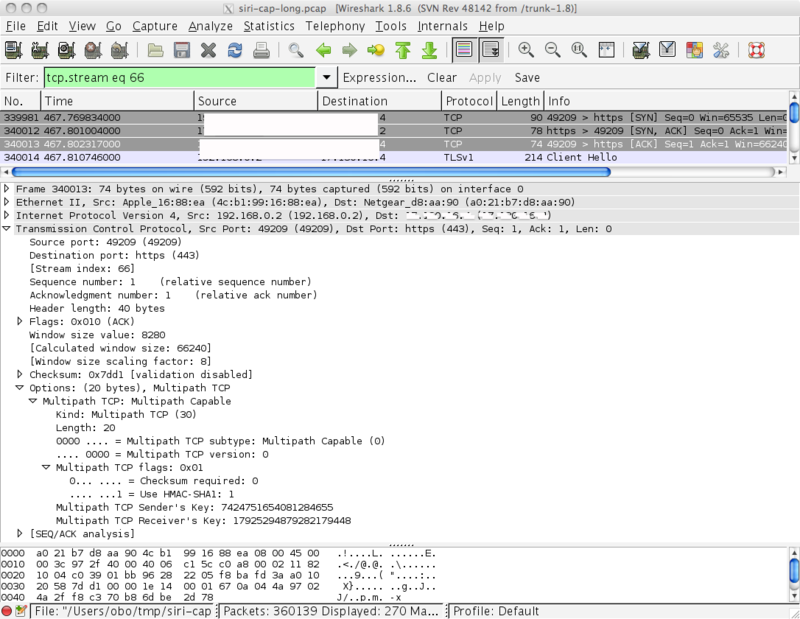 From a logs captured from an iOS device while connecting to Siri servers, it is evident that the very latest technology multipath TCP is supporting the new operating system. This technology enables compatible devices to transfer data over multiple channels. Olivier Bonaventure, a Computer Science professor at IP Networking Lab in Belgium, discovered this networking protocol in iOS 7 – his findings can be read here. The best thing about this technology is that it pushes data over the most efficient channel bringing dropouts to the minimum. Commercially, iOS 7 is the first product shipped with a working MCTCP implementation. Since this protocol does not require any specific hardware, any existing devices will be able to make use of it. Being the first commercial software to support multipath TCP, your iOS 7 will allow your device to be able to stay connected over both LTE and Wi-Fi at once. Say for example, you are watching a video over a weak Wi-Fi network – traditionally the connection dies, stops loading the video and then reestablishes to either Wi-Fi or LTE. With MCTCP, your device will stay connected to both LTE and Wi-Fi at one – if one fails, other would continue transmitting data uninterrupted without you even noticing the difference. Awesome, right? We agree!